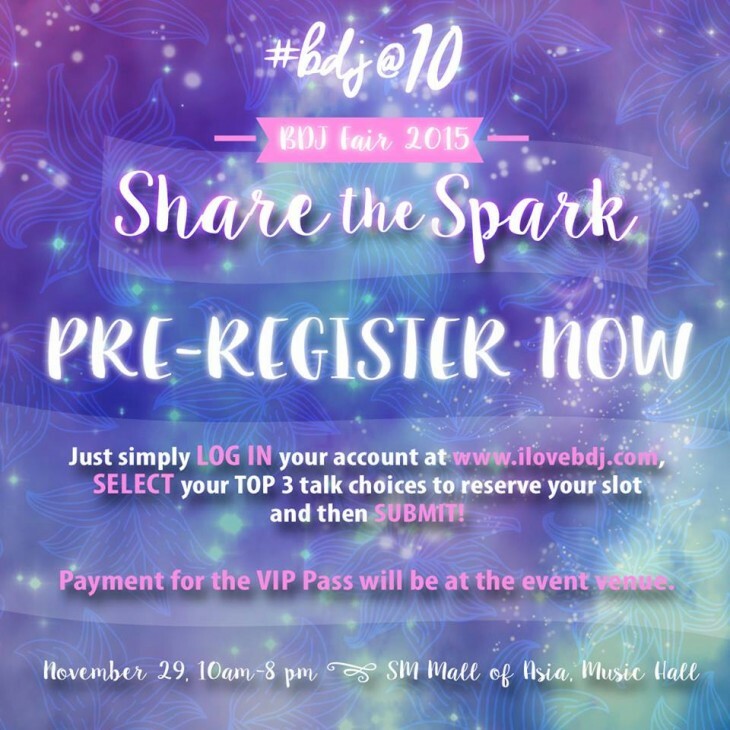 You might recall that we were so excited about the BDJ Fair 2015: Share the Spark, which was originally scheduled on October 18 at the SM Mall of Asia Music Hall. Unfortunately, it was also the same day Typhoon Lando made landfall here in the country, so the folks from Belle de Jour decided to re-schedule the event to make sure that everyone’s safe and sound at home. Well, wait no more, as the BDJ Fair has been re-scheduled on November 29, this coming Sunday! It will run from 10:00 a.m. to 8:00 p.m., at the same venue: the SM Mall of Asia Music Hall. You can pre-register now for P100 and get access to talks, loot bags and booth activities to be held during the event. Get fitspiration from thebullrunner.com and Dream Marathon founder Jaymie Pizarro! Get tips on how to unleash your potential from Mercato Group Co-Owner RJ Ledesma. 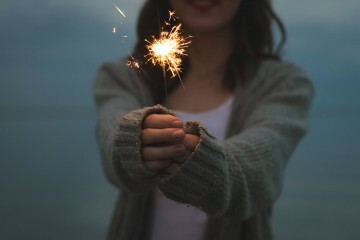 Want to know how you can support an advocacy that you believe in? Get inspiration from the General Manager of G Stuff, Jen Santos. Get tips on being fab and confident from beauty blogger and Flawless ambassador Divine Lee. Be business ready by getting tips from MFT Group of Companies founder and CFO Mica Tan. Learn how you can elevate your own style through the founder of Global Image Consultant and Bb. Pilipinas-Universe 2002, Karen Ostrea! 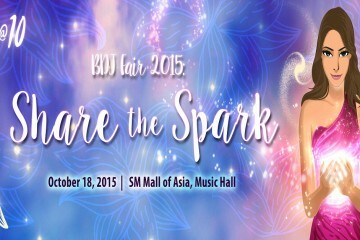 Share the Spark at the BDJ Fair 2015!